Having a bicultural family means that I have two cultures to keep under one roof. My husband is Italian and since we live in his country, I am the one who has to familiarize him and our kids to the Philippine traditions that I grew up with. Asia and Europe are two far continents with completely diverse cultures and combining them in one family can have fascinating outcome. Like traveling, I believe that the best approach to understanding a different culture is always through its gastronomy because if you look at it closely, the story of a country can leave imprints in the food they eat. 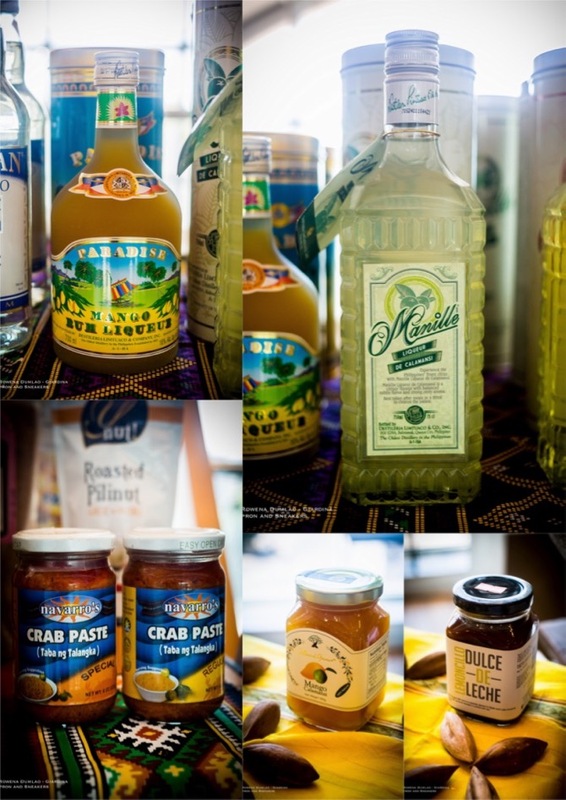 The Philippine cuisine for one, tells us about the beauty of its 7,107 islands through the unique flavors and aromas the dishes encapsulate. 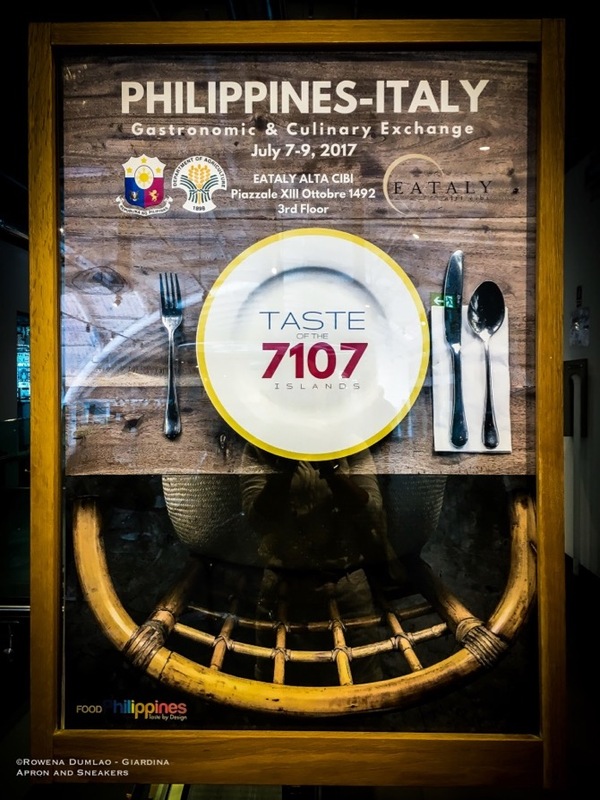 Last month, at the initiative of the Office of the Agriculture Attaché at the Philippine Embassy in Rome, a food event that lasted for three days (7-9 July 2017) entitled Philippines - Italy Gastronomic & Culinary Exchange: Taste of the 7,107 Islands, was organized in Eataly Rome. It was to commemorate the 70th year of good Philippine and Italian diplomatic relations because according to Philippine Ambassador Domingo P. Nolaso, sharing food is one of the best ways to experience the culture of one’s friends. Eataly is the largest Italian food hall in the world that focuses on Italian quality products and collaborates with the Slow Food movement. There was no better venue to hold such a special gastronomic event between the Philippines and Italy. 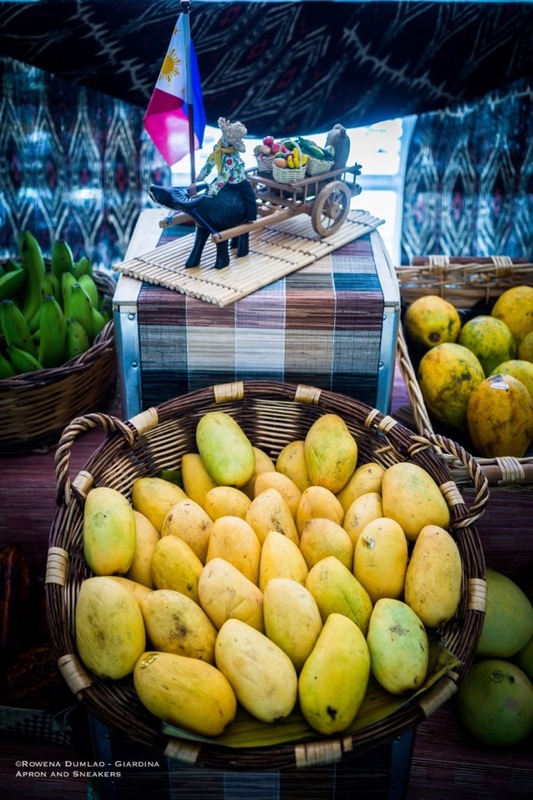 Imagine how beautiful it was to see some Filipinos wearing the traditional costumes of barong tagalog and saya offering a taste of the beloved Philippine dried mangoes dipped in Italian chocolate to everyone who walked in. And try to think how extraordinary it was to step out of the elevator and see Philippine products on display in different stalls. But the best was yet to come upon walking towards the doors of the restaurant on the third floor, a melange of delightful oriental aromas was permeating the air. The familiarity of all the warm smells, the language hitting back and forth in the kitchen and the food on the buffet table were enough to give me a sentimental flight back to the cuisine that is a part of me. I love Italian food but I will always have a special spot for the food that grips me with fond memories of the place I used to call home. Chef Timothy Abejuela of Kabisera Restaurant flew from the Philippines for the occasion. 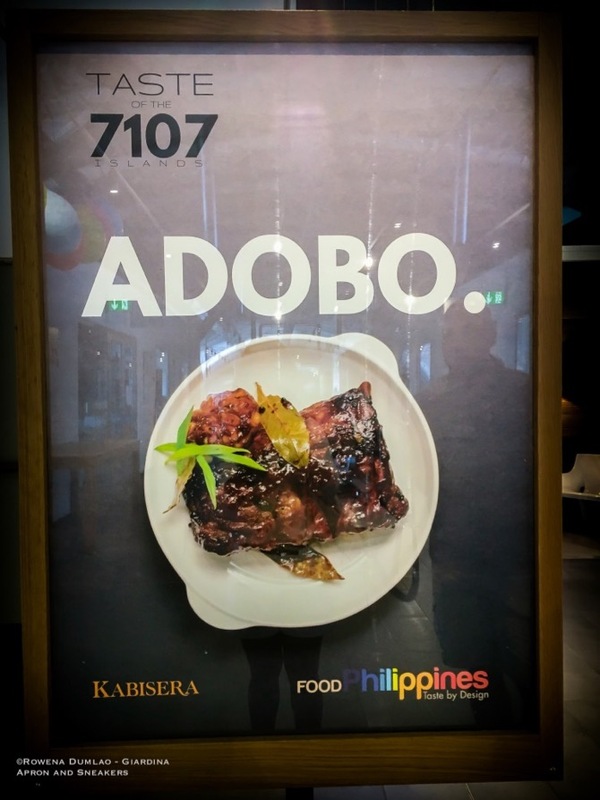 It was to promote the Philippine cuisine as well as to create unique dishes amalgamating both Italian and Philippine gastronomy. 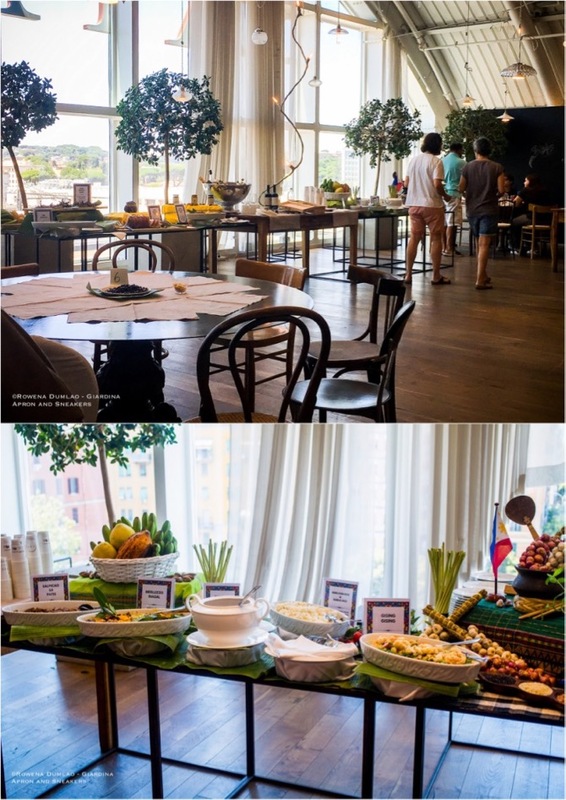 I quick scan of the buffet table showed me the most-loved components of the Filipino kitchen - lechon, sinigang, rice, lumpia, ube, and mangoes. 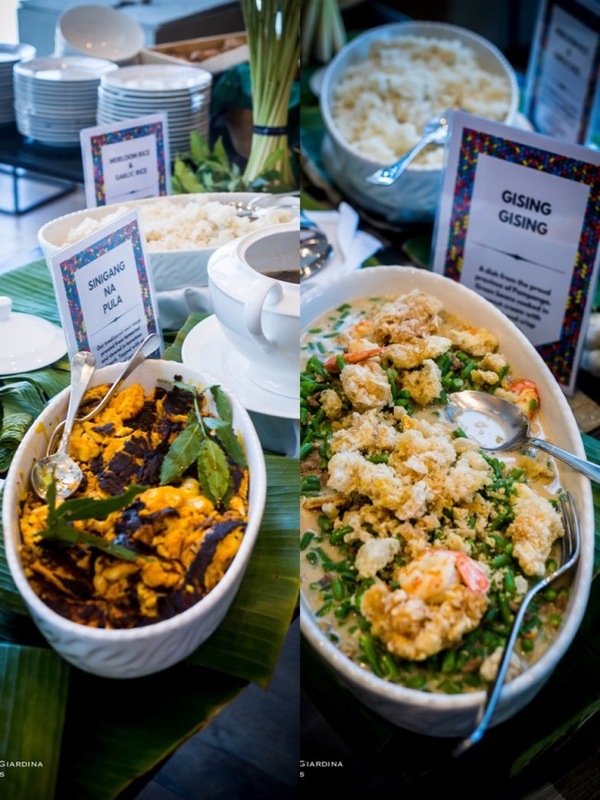 Chef Timothy chose a good line-up of Filipino dishes to highlight and all of them were deliciously executed, just like how it is back in the days in the Philippines, but some were even better. 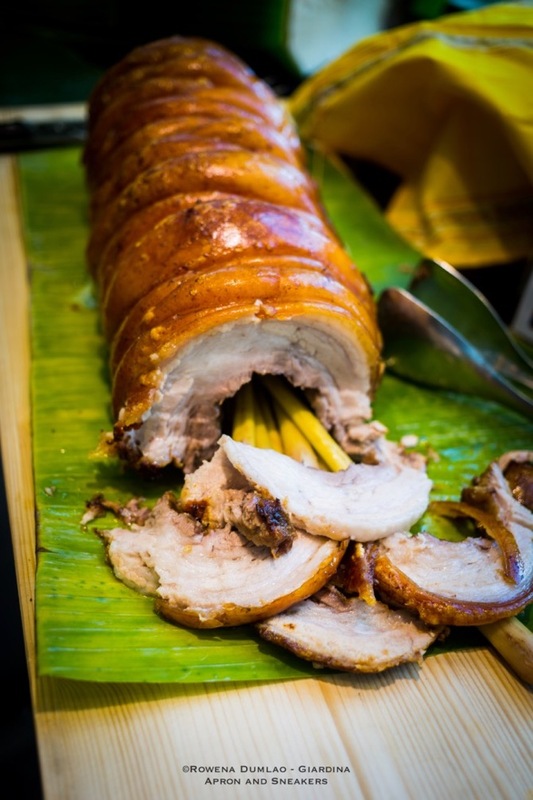 Like any Filipino buffet table on special occasions, a lechon (roasted suckling pig) takes center stage on the table and this one was boneless. 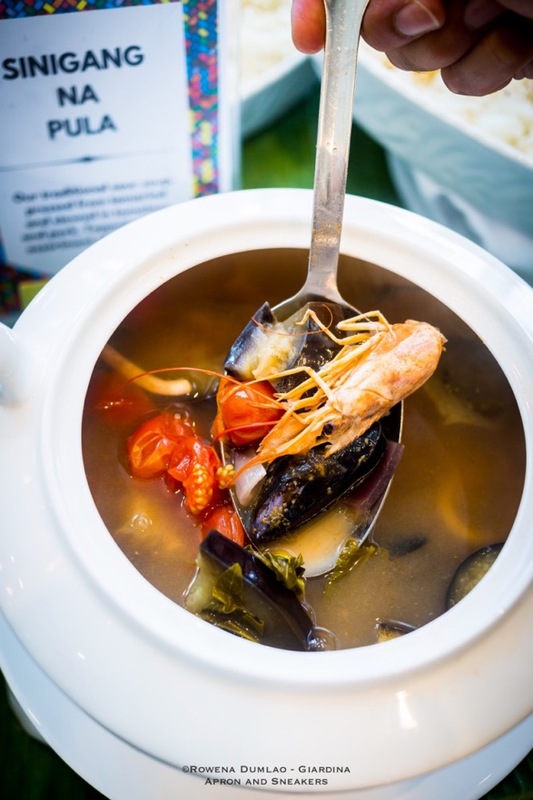 Sinigang na pula is tamarind-based soup with shrimp, squid and vegetables with just the right touch of tartness. 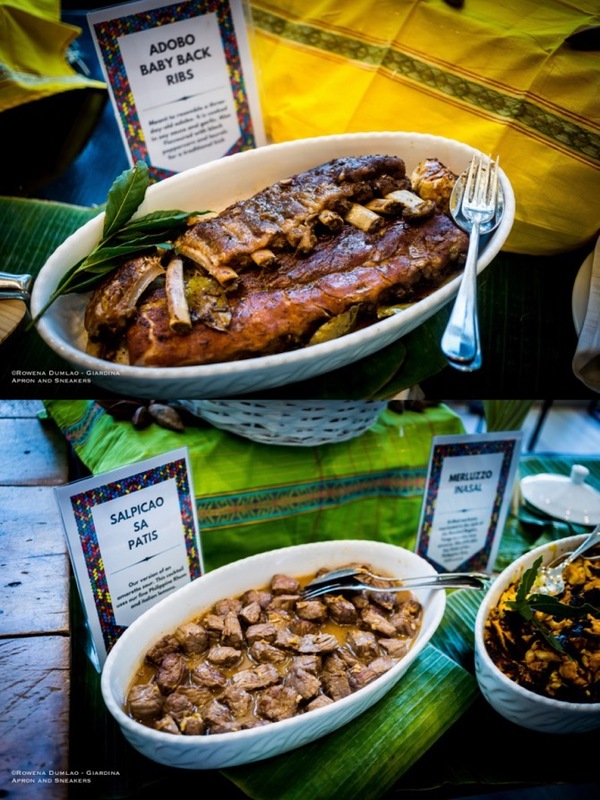 There are also the Gising Gising which is a dish of stringbeans and shrimp cooked in coconut milk with crispy chicharon (pork skin); Salpicao sa Patis which is beef cubes cooked Philippine rum, lemons and fish sauce (similar to the Italian colatura di alici); Adobo Baby Back Ribs are very tender pork ribs slow cooked with soy sauce, vinegar and peppercorns. The desserts were traditional ones that were reformatted to more creative ways. 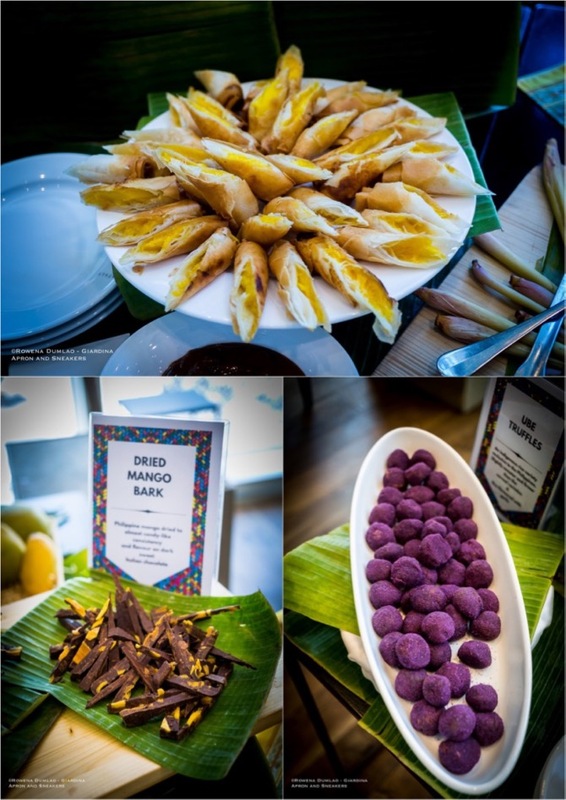 The Ube Truffles are purple yam sweet balls; the Dried Mango Bark dipped in chocolate; and the exceptional Mango Spring Rolls with Dulce de Leche Sauce. 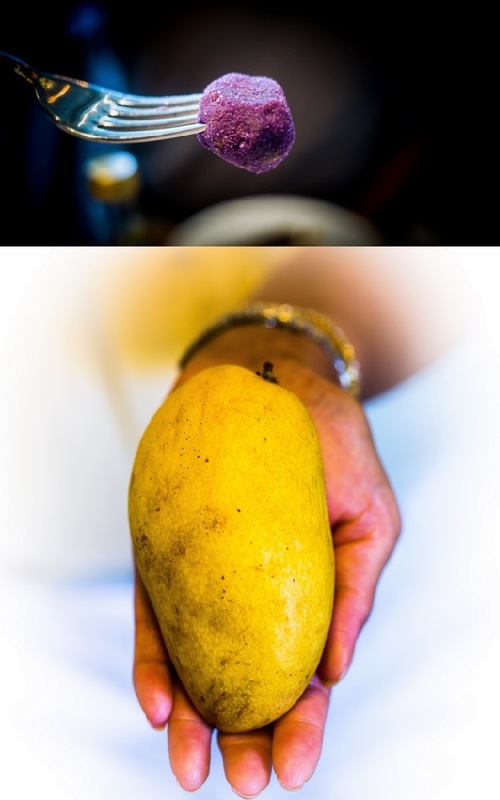 Philippine cuisine is not among the well-known Asian food that is familiar to the Italian palate. 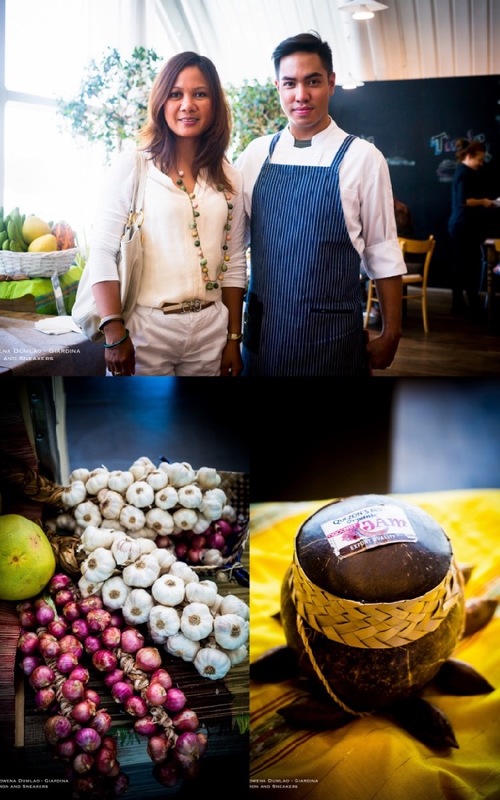 The occasion of showcasing the dishes in Eataly was a great way to give the curious non-Filipinos an open door towards acquainting themselves to the food culture of an archipelago of more than 7,000 islands where the contrast and aromas and flavors are one of a kind.